HOW I MET YOUR MOTHER returns for its final season tonight! "The Locket" -- Sherri Shepherd guest stars on the ninth season premiere episode of HOW I MET YOUR MOTHER titled "The Locket," to be broadcast on Monday, Sept. 23 (8:00-8:30 PM, ET/PT). 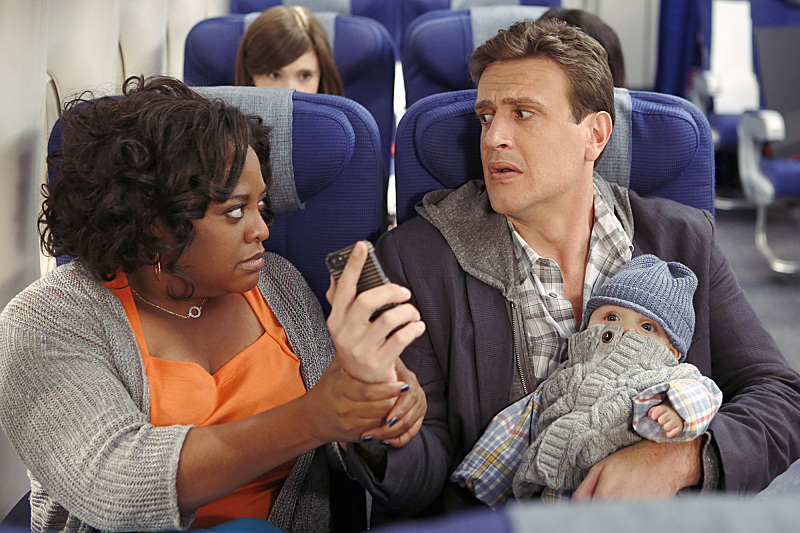 Pictured: Sherri Shepherd, Jason Segel. Photo: Cliff Lipson/CBS ÃÂ©2013 CBS Broadcasting Inc. All Rights Reserved. HOW I MET YOUR MOTHER’s final season kicks off tonight at 8 PM on CBS.